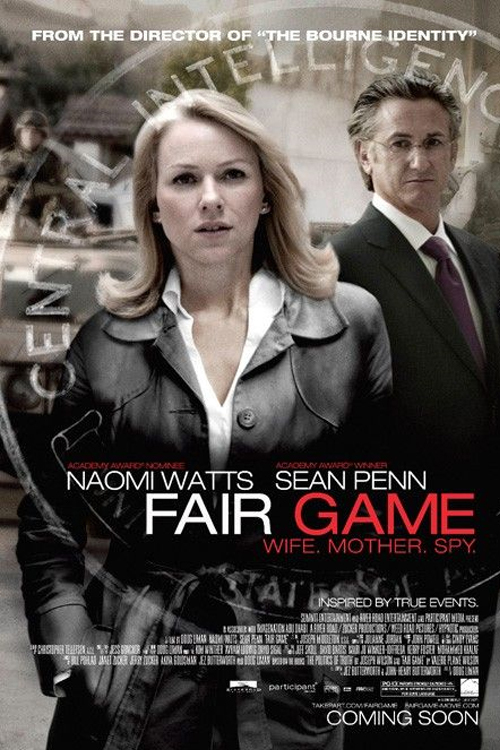 Fair Game is based on Valerie Plame’s memoir in which Plame’s status as a CIA agent was revealed by White House officials allegedly out to discredit her husband after he wrote a 2003 New York Times op-ed piece saying that the Bush administration had manipulated intelligence about weapons of mass destruction to justify the invasion of Iraq. Plame’s career was essentially ended when Washington Post journalist Robert Novak, with information obtained from Richard Armitage at the US State Department, revealed in his column her identity as a CIA operative. This story is terrifyingly relevant. It is also very frustrating – and this is a credit to the compelling story, the acting, and the direction – to watch as the Bush (2) administration road roughshod over anything, and anyone, in their way. Starring Naomi Watts (Mulholland Drive, 21 Grams, Eastern Promises) as Valerie Plame, and Sean Penn (Harvey Milk, The Game) as her husband. As mentioned, the story is relevant in its depiction that too much power corrupts, and the direction is well-paced by Doug Liman, who also directed The Bourne trilogy.